New charitable footwear brand starts up in Los Angeles. 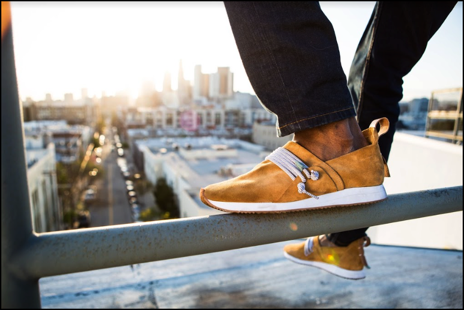 Last week, three footwear industry veterans (with collective past experience at Toms, Asics, Nike, Vans and Sanuk) joined together to launch Comunity, a charitably minded brand based and manufactured in Los Angeles. The brand’s initial offering includes three athleisure-inspired styles—including a hybrid sneaker-moc, metallic hi-top and banded slip-on—for men and women. Retailing for $150 to $180, consumers will allow Comunity to donate $10 from the purchase to a charity of their choice from a curated group of sustainable programs. The styles will be sold direct-to-consumer in-story and online in mid-June.